As the debate continues over guaranteeing the safety of Chicago school children whose elementary schools are being eliminated, Mayor Rahm Emanuel's administration has quietly assigned Chicago firefighters to assume security functions which many contend they are ill equipped to handle. Almost immediately when the city announced the closing of scores of schools, parents raised red flags about the prospect of children crossing gang boundaries to get to their new school buildings. The mayor and police Supt. Garry McCarthy pointed to so-called "safe passage" routes, designed to give students added security and a protected path and heavily staffed by police and Board of Education security teams. Now, NBC5 Investigates has learned that Chicago firefighters have been quietly ordered to join in staffing those routes beginning on the first day of school August 26 and continuing for the first three weeks of the school year. "During specific hours of the day, all companies will be on the routes and establish a visible presence to the children traveling to and from schools," Fire Commissioner Jose Santiago wrote in a memo sent to firehouses citywide May 5. "Companies will be in service and on the air at this time." "It is critical that the CFD assist in providing the children with reassurance during their travels," Santiago told his troops. "This will be accomplished through our public presence, being good ambassadors to the children of Chicago, and providing support when and if they require it." Privately, some firefighters question an assignment which smacks of security duties they were never trained to assume. After all, firefighters are not armed and have not attended police academy classes on law enforcement. Union chief Tom Ryan said his men and women would accept any role they were asked to perform, but quickly added that they are not the police. "Should an armed or violent altercation break out or erupt, we are not trained or equipped to deal with that," Ryan said. Santiago said his department was not being asked to assume any such crime-fighting duties. "We’re not out there to stop crime or anything like that,' he said. "We’re just out there to be a positive presence." Asked what his men and women would be told to do if trouble should erupt on the school routes, Santiago said he would advise them to do what they do at a fire if things get out of hand. "If we see something, we pick up the radio and say something," he said. "We call the police department." 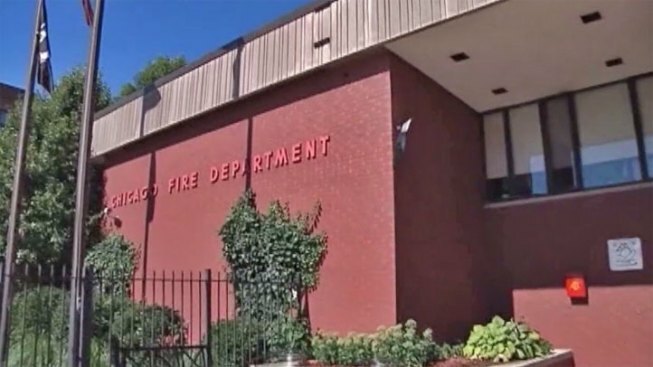 But if the fire department and even its union are treading cautiously, the police union had no such qualms Monday about criticizing the administration’s school plan. "This is a clear admission by the Chicago Police Department that we don’t have enough police officers on the street," said Fraternal Order of Police president Michael Shields. "Never in the history of the Chicago Fire Department can I remember firemen being on the street for security purposes." Police spokesman Adam Collins rejected the union’s contention that the fire directive was further evidence of depleted manpower. "The mayor has enlisted every agency to be part of the expansion of Safe Passage," he said. "We will all continue to work closely together to ensure that these paths are ready to go by the school year." Collins noted that in actuality, Chicago police had never been the primary staffers of safe passage routes. "The 39 existing routes are staffed by trained CPS Safe Passage workers, and the Chicago Police Department assigns personnel as needed in the same manner we provide coverage for all schools during arrivals and dismissals. The same structure will be used as Safe Passage expands to all welcoming schools in the next school year," he said. For his part, Ryan put a positive spin on what is almost certainly a very sore point for his members. "We are there to do whatever we are commanded to do and we do it very well," he said. "It’s often been said that when people cannot think of anyone else to call, they call the fire department."